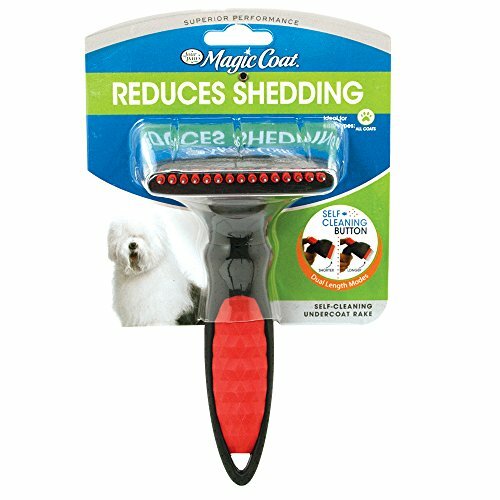 The Four Paws Magic Coat Self-Cleaning Undercoat Rake is designed to perform 3 functions with an easy to- use push button to gently remove dead hair, tangles, and mats while reducing shedding. With just a click of a button, you can cycle between adjustable teeth lengths for short or long coats, as well as a self-cleaning mode. Great for a multi-pet household or for dog’s with double coats.